When will Nuakhai become a Truly pan-Odisha Festival? Given the agrarian origins and largely secular moorings of Nuakhai, there is no reason why it should not be a pan-Odisha festival. #NuakhaiJuhar was trending on Twitter for much of Tuesday. It also dominated the discourse on Facebook, WhatsApp and other social media platforms, besides getting day-long coverage on television with anchors appropriately dressed for the occasion. Even non-Odias joined the fun sending out Nuakhai greetings to their friends and acquaintances. Going by the buzz in cyberspace, it appeared as if the agrarian festival has transcended the borders of Western Odisha and has assumed a truly pan-Odisha dimension. But has it really done so? Or is it just optics with little relation to the ground realities? Wishing each other Nuakhai Juhar is all very well. But imbibing the spirit of camaraderie that it entails is an altogether different ball game. Celebration of the festival outside western Odisha is almost entirely about wishing friends and acquaintances – much of it on social media – and rarely involves the elaborate set of rituals that mark the occasion in western Odisha homes. Just as ‘Raja’ has remained an essentially coastal Odisha phenomenon (Though tribals do celebrate it in a big way, it has precious little in common with the practices and rituals of ‘Raja’ as celebrated in coastal Odisha), Nuakhai has never really outgrown the boundaries of western Odisha despite decades of assimilation and integration since Odisha became a state back in 1936. Soon, the season of ‘Nuakhai Bhetghat’ (social dos organized to mark Nuakhai) will start in Bhubaneswar, Cuttack and other important cities in coastal Odisha. All political parties and most important leaders of these parties would host Bhetghat programmes where the high and mighty would exchange pleasantries and gorge on the sumptuous dishes on offer. Socio-cultural organizations too will also hold programmes where Sambalpuri dance and song, among other things, will be mandatory fare with the all-time hit ‘Rangabati’ taking pride of place. But a closer look would reveal that these are occasions for food and fun and devoid of the essence of the Nuakhai spirit. In the case of political parties, in particular, the Bhetghats are occasions for networking, mending fences, building bridges or striking deals – a bit like Iftaar parties that has become a part of our secular political culture. Given the agrarian origins and largely secular moorings of Nuakhai, there is no reason why it should not be a pan-Odisha festival. If it has failed to cross the coastal barrier (and conversely, if Raja has failed to penetrate deep into western Odisha), the reasons are to be found in history. The political, social and cultural schism between the two regions goes deep and has not been bridged despite eight decades of socio-political assimilation and cultural exchanges. In hindsight, it is hard to believe that undivided Sambalpur district, along with the undivided Cuttack, Puri and Balasore districts, was part of British India that merged with a clutch of princely states to form the modern day Odisha after Independence. 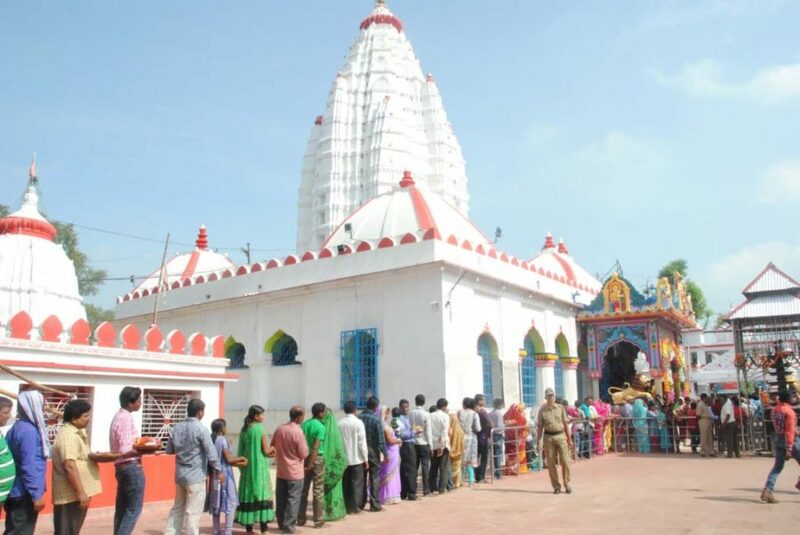 It is ironic in a sense that while most of the 24 ‘gadjaats’ merged into Odisha without much of a problem, the rift between western and coastal regions continues to this day – as is evident in the periodic revival of the demand for a separate Koshal state. People in the western region see themselves as victims of exploitation at the hands of ‘bhaaenas’ (a derisive term used in western Odisha for people from the coast). This feeling of victimhood has not grown out of thin air; it has its roots as much in historical facts as in the political equations in the present time, which tilt the scales heavily in favour of coastal Odisha. The fault lines remain in the cultural arena too, despite the Sambalpuri saree and Sambalpuri dance breaking regional barriers. A case in point; while much of western Odisha took great umbrage at the Coke Studio version of the chart-busting ‘Rangabati’ number sung by Sona Mohapatra a year or so ago, people in coastal parts kept wondering what the fuss was all about! It is not as if the gulf between the two regions is unbridgeable. Having straddled both sides of the divide, this writer can vouch for the fact that there is much in common between the people – with Lord Jagannath taking pride of place – that holds out the promise of a true and lasting integration between them. But for that to happen, political integration has to precede the socio-cultural integration of the two parts. Till then, it will remain a work in progress.